Bright Christmas lights necklaces and blinking bow headpieces lit up the Allstate Arena on December 12, 2015 for the annual B96 Pepsi Jingle Bash. It would be announced by Stylez and Roman that the audience was part of history as this was the first sold-out Jingle Bash. Screams and anticipation grew as to who would kick off the star-studded event. The Allstate Arena erupted when it was announced that Sydney, Australia mega rock group, 5 Seconds of Summer would be up first. The band opened with their 2014 breakout hit “She Looks So Perfect”. When the chorus hit, you could clearly hear the loud screams from the Chicago crowd belting out “Hey, hey, hey, hey” along with the band. The floor shook non-stop during 5 Seconds of Summer’s set. 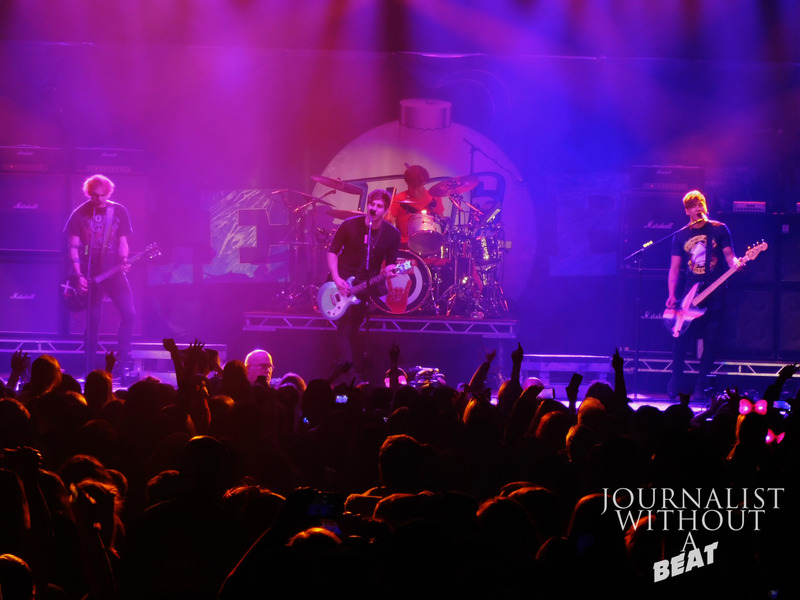 The band closed with a cover of The Romantics “What I Like About You” and before leaving, 5SOS thanked the audience and announced they would be back on July, 30 2016. The next artist name would be displayed on a large screen throughout the night, and was once again met with loud screams. OMI was up next and turned the whole arena into a dancehall. Everyone in attendance was up and enjoying themselves when the song “Cheerleader” hit. Relatively newcomer, Hailee Steinfeld hit the Jingle Bash stage kicking off her set with “You’re Such A” from her 2015 EP, Hailz. Before finishing up her set with “Love Myself”, Hailee gave the audience some advice about self-awareness and embracing their own strengths and loving their self. The screaming did not stop as the acapella group, Pentatonix emerged on stage performing an original rendition of the Star Wars theme. The unique feature about Pentatonix is the group uses no instruments. All sounds and singing come straight from the singers. The group performed many songs from new self-titled album as well as melodies of all of the King of Pop, Michael Jackson greatest hits and classic Christmas tunes. Whenever band member, Mitch Grassi, would hit a hi-note, it felt as the entire arena would lose it. Pentatonix set came to an end with another awesome melody of legendary electronic group Daft Punk mixes. 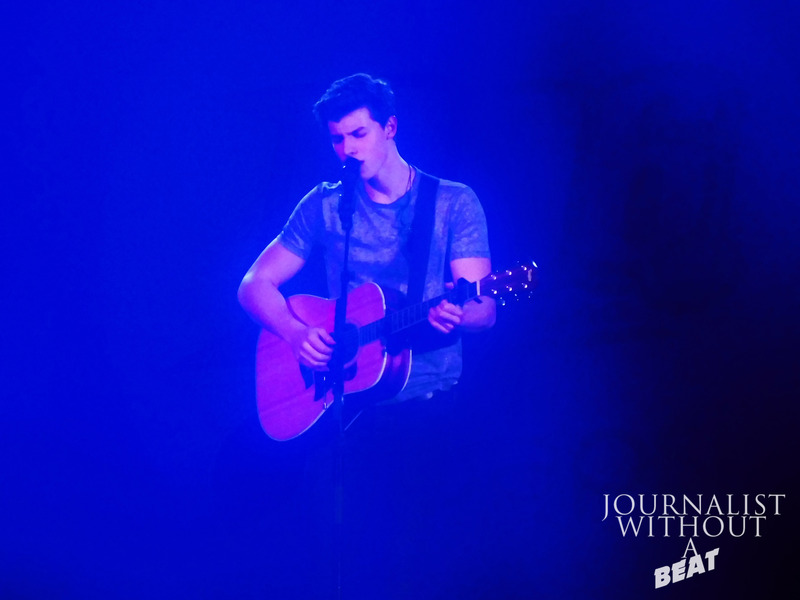 As if the Chicago crowd couldn’t get any louder, when Shawn Mendes (and guitar) appeared in front of the sold-out Allstate Arena, it felt as the roof was about to come unglued. When Shawn asked the audience to scream the lyrics, they did just that. Before the first song was over, girls were crying. He also performed a cover of the Plain White T’s “Hey There Delilah”, which was met with much expected loud cheers. Before ending his set, Shawn had one more request in asking the audience to hold up their cellphones (this would light up the entire arena) as he went into his final song “Never Be Alone” from his debut album Handwritten. As the stage setup was being reorganized for the next artist, B96’s DJ Metro kept the party going spinning hits such as Lil Jon’s “Turn Down For What”, Usher’s “Yeah”, and Fetty Wap’s “My Way”. Next up, The high intensity Jason Derulo accompanied by a live band and 4 backup dancers arrived to the Jingle Bash opening with the classic “Out of My Head”. He had the Chicago crowd in the palm of his hands from the beginning. Jason would not miss a step when going through his catalog of hits including The Other Side, Will You Marry Me, Whatcha Say, Ridin’ Solo, and Don’t Wanna Go Home. Jason then announced he was about to perform a song that he hasn’t really performed as of recent, but Chicago was the perfect place to do it. That song would be from his new album Everything is 4 titled “Get Ugly”. 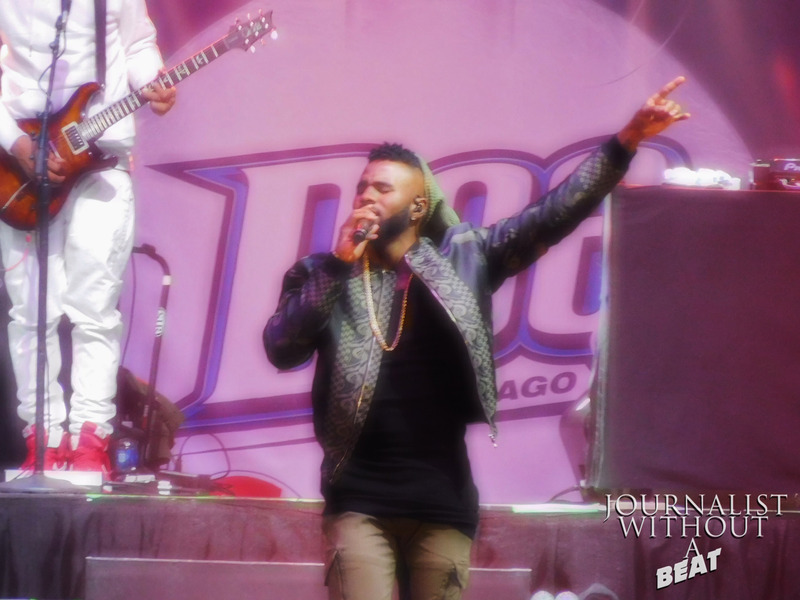 Closing out his set with bass heavy “Talk Dirty to Me”, Jason Derulo thanked Chicago for allowing him to live his dream. Closing out the electric night was the stunning Demi Lovato. As soon as the lights went down, the audience couldn’t wait to get their first glimpse of Demi. Demi exploded on stage with her chart-topping hit “Confident”. Demi slowed things down for the Chicago crowd with an amazing performance of “Stone Cold”. The excellent set would continue with live performances of ballads from her new LP Confident. Concluding the show with “Cool for the Summer”, Demi Lovato thanked CBS, B96, and of course the Chicago audience. 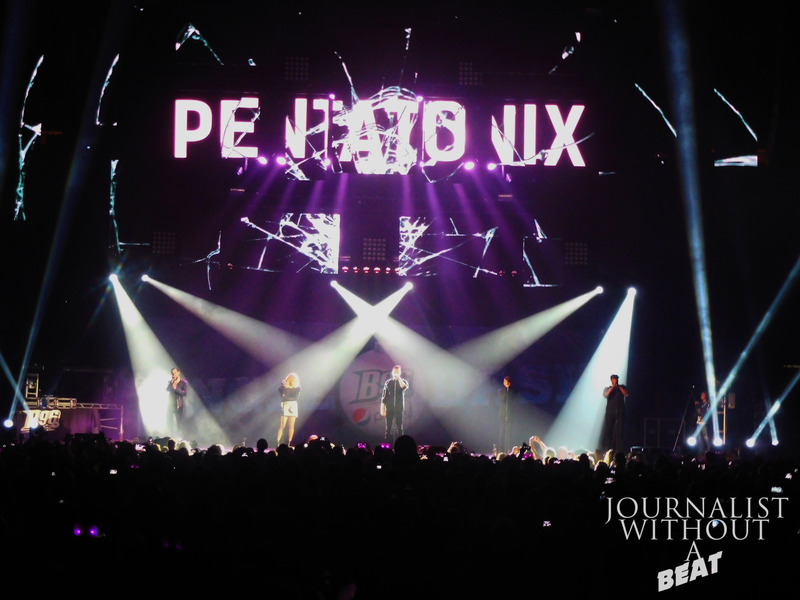 B96 and Pepsi once again put on a great family friendly concert that is the Jingle Bash. From the production, radio personalities, and the artists, everything was top notch. If you missed out on the Jingle Bash, don’t miss out on the B96 Summer Bash on June 26, 2016 live from the Allstate Arena. 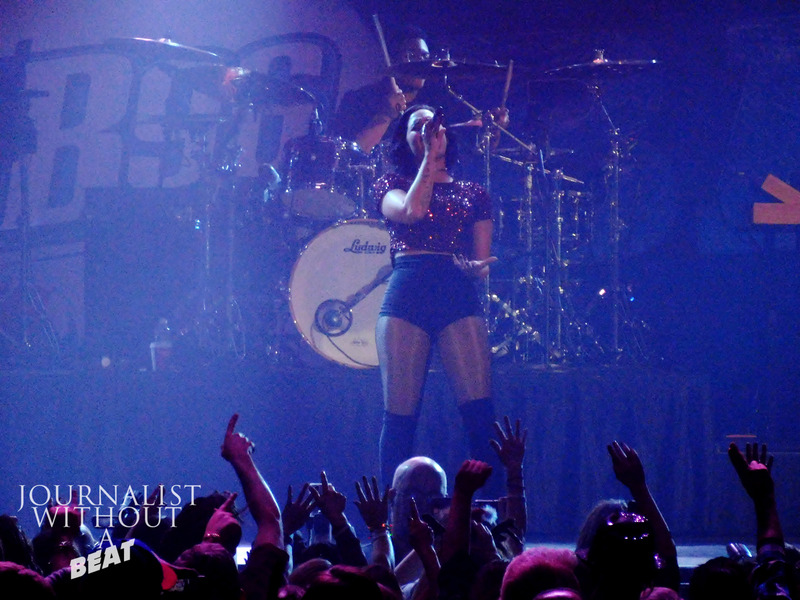 Check out more photos from the Jingle Bash below. Previous Previous post: News | The B96 Pepsi Jingle Bash is Tonight! Next Next post: News | NXT is coming to Chicago!